In local government the development plans set out how places should change, how they could be like in the future, and also set out the policy used to make the decisions about planning applications. They describe what type of development should take place where, and where should not be developed. It also sets out the best locations for new homes and protects places of value to people and wildlife. When looking for a plot for a log home you should look at these local development plans, which are available at any local library to ensure you purchase a site that is in an area that is ear-marked for development, otherwise gaining planning permission might be very difficult. Each council area in Scotland is covered by local development plan; this can provide a detailed explanation of how the council would like to see particular sites or small areas develop. This local development plan is created with involvement from local communities and businesses. Outline planning permission means that in principle it is possible to build on a particular piece of land, this status is usually valid for three years before reapplication is necessary. In some cases outline planning permission is necessary; however applying for full planning permission from the beginning is normally cheaper and quicker. Even if you have outline planning, this does not mean you are guaranteed planning permission (e.g. if they don’t like your proposed house design). 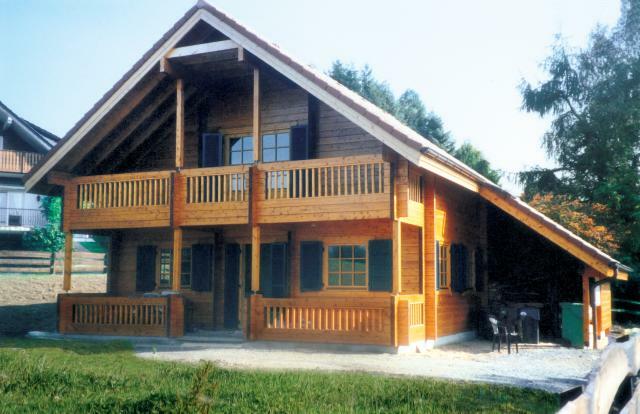 Planning permission is required for log homes with foundations. The size of the planning application fee will depend on the type of development you want to carry out. Once the application has been received by the planning authority you will receive an acknowledgement letter, details of corrections and additional information that is required. Details of the application will be published, and neighbours of the site will be notified an application has been submitted. This process can take up to two months before you hear if your application has been successful. A building warrant gives you legal permission to build your log home on your land and is granted by the local council in your area. The local council Building Control officers are responsible for granting building warrants in your area. When assessing your application for a building warrant, the building control officers apply standards set by national regulations. These provide minimum standards for health, safety, welfare and convenience of people, and also for the conservation of fuel and power. It may take around 6 to 8 weeks from the date you or your architect applies for the building warrant to the time that the building control officers actually look at your application. They will then either give you a building warrant, or more often than not, give you a list of amendments that need to be added to the plans before they will give you the building warrant. After re-submitting the corrected application it might be another couple of weeks before you get the go ahead. Then it is time to order your log home, and get your foundations done in time for your log home kit arriving six weeks later! Generally we will only provide plans and elevations for planning and the building warrant as part of the log home package. Depending on your location, our architect may be able to create the full planning application, including site and location drawings. This will normally require site visits and percolation tests at extra expense. A local architect will be able to create a site and location plan for you as well as submit your planning application on your behalf.